When a consumer product or piece of workplace equipment causes a serious or fatal injury, the law imposes strict liability on those who designed, manufactured or distributed it – if the plaintiff can meet certain burdens of proof. At Brady, Brady & Reilly, we understand the complexities of product liability law and know how to effectively meet the tough burdens of proof that are required to prevail on these claims. How do we know? We know because lawyers at our firm have been handling these claims for more than 30 years and have proven their ability to achieve results on countless occasions. If you’ve been injured by a dangerous or defective product – call or contact us for your free consultation today. In order to prevail on a product liability claim, a plaintiff must be able to show that a flawed design, manufacturing defect or inadequate warning existed; that the presence of one or more of those defects made the product unreasonably dangerous; that those defects existed at the time when the product left the defendant’s control; and last, that the defects were the legal cause of the plaintiff’s injuries. Our lawyers have established strong working relationships with the kinds of design, engineering and information experts who are generally required in these cases. Working closely with these professionals and others, rest assured that we will spare no effort or resource to maximize the compensation for you and your family. The product that injured you needs to be preserved immediately or your claim may be lost. We can help you preserve that product and your claim right now. 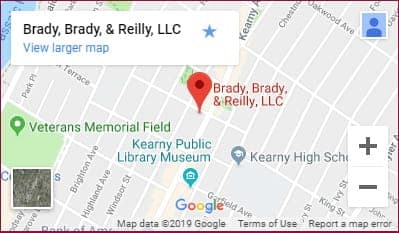 For a free consultation – call our Kearny, New Jersey law offices directly or feel free to contact us online as well. *** Your status as an illegal immigrant does not cost you your right to sue! Call our lawyers today for a free and completely confidential consultation.